There is a data analysis discipline used in business settings and other operational applications that classifies inconsistencies, discrepancies and departures from the operational or situational ideal. 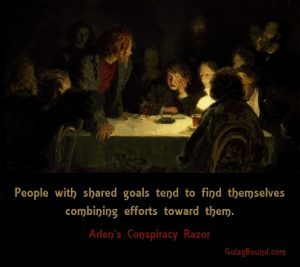 Examples of such inconsistencies are things such as undated reports, event descriptions which alter the sequence of events and reports that distort the importance of one thing relative to others in its context. One of the harder ones to spot is the omitted datum – information that ought to be there that isn’t. This classification has a corollary: the incorrectly included datum, information that shouldn’t be there, but nonetheless is. Following is an excerpt from an IRINN TV report on Iran’s Army Day Parade, which aired on April 17, 2012. Reporter: “We can see the parade of the army’s vehicles and equipment. Announcer: “… They have great mobility in the battlefield, and great maneuvering capabilities. And the inconsistency would be that the UN should not even be there. According to the UN Peacekeeping Mission site and Wikipedia, there are no ongoing peace keeping missions in Iran involving the UN. So, I have to ask why there are white UN vehicles in the UN Army Day Parade? Why hasn’t the media caught this? 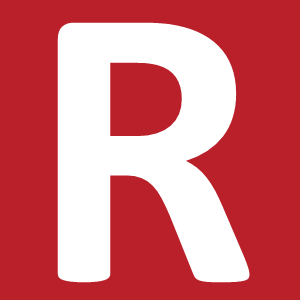 Why doesn’t this raise ‘red’ flags with anyone? 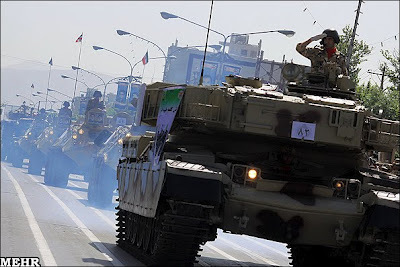 According to Newser: Iran’s armed forces will make its enemies regret any act of aggression against the Islamic Republic, President Mahmoud Ahmadinejad warned on Tuesday as Iranians marked National Army Day with a military parade near the capital Tehran. This was a direct slap at the United States and Israel. No doubt about it. “Our armed forces will make the enemy face a heavy and shameful regret if they commit any aggression and violate Iran’s interests,” Ahmadinejad blustered in a speech broadcast live on state TV. The US and Israel (more so Israel) have not taken military action off the table with Iran – in fact, day by day we inch closer to a confrontation that is sure to draw in Russia and China as allies for Iran in an armed conflict against the Little Satan and Great Satan. Sanctions are not biting nearly hard enough. So, I ask again… why is the UN there? During the parade on Tuesday, Iran displayed an array of its homemade short-range missiles, tanks, drones and air defense system as well as some of its jet fighters, warplanes and military helicopters. Iran has tried to build a self-sufficient military program since 1992. On the sidelines of the parade, Iran’s army chief Gen. Ataollah Salehi told the state IRNA news agency that U.S. warships in the Gulf are “sweet targets” for Iranian armed forces. Salehi, who is known for anti-U.S. rhetoric and had threatened U.S. ships in the Gulf before, did not elaborate. Among the weaponry shown off on Tuesday was “Qadr,” or a Sacred Night mentioned in the Quran, a 2,000 pound guided bomb. Iran has earlier suggested it could counter the U.S. naval presence in the Gulf and they would surely use this as a weapon. 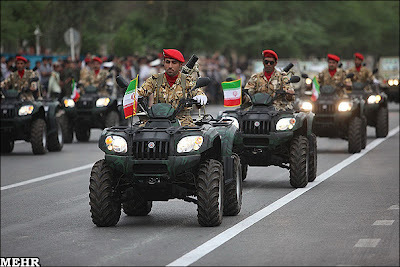 According to the Mehr News Agency, thousands [of] goose-stepping soldiers took part to the parade in which some military vehicles and equipment were displayed, including the new generation of the Zolfiqar tank, the Samsam tank, the Borragh personnel carrier, the Naze’at missile launcher, the Misaq 2 missile launcher, the Badr tank transporter, and advanced radar and missile systems. Several planes attended the “show” as well, including IRIAF F-14s, and Su-24s (performing aerial refueling), even if, to be honest, nothing comparable to the 70 F-15Es launched yesterday by the U.S. Air Force from Seymour Johnson AFB. We are in the opening scenes of WW III and Iran knows it. 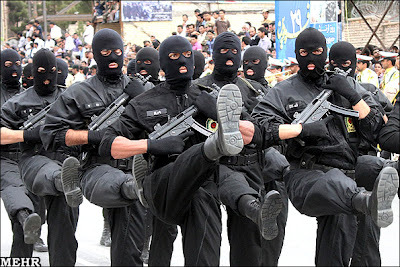 During their parade, they featured instances of what they are calling a ‘soft war‘ against the Islamic Republic by the West. They claim this stage of the war is being conducted in social media – primarily Facebook. I sense a cyber war that is an impending threat here. 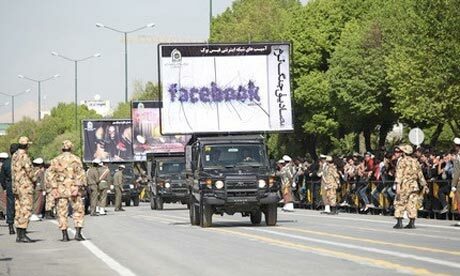 This showcases the Iranian government’s unease concerning social networking featured in a military parade held in the central-Iranian city of Isfahan last Tuesday to mark Iran’s Army Parade Day. They also highlighted that the West was guilty of ‘bad hijab’ (referring to women) and addicting their people to the ‘new addiction,’ a reference to illicit drug use, such as shisha (crystal meth), cocaine, crack (a pure form of heroin in Iran) and paan. America was also accused of psychological warfare such as the movies “300” and “The Wrestler,” as well as items such as Barbie Dolls. Iran is pursuing what they term a ‘pure’ or ‘halal’ Internet with much more governmental control. 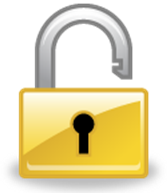 Sites such as Skype, Gmail, Twitter, YouTube and Facebook, along with most Western news outlets, are blocked. British, European and American sites have been accused of assisting Iran in their Internet crackdown. A recent Associated Press article captured the mood of the authorities when it quoted Iran’s police chief, Esmail Ahmadi Moghadam, describing Google as an “instrument of espionage” and the country’s deputy intelligence chief, one Ahangaran (the state doesn’t like to give his first name), describing the internet as “a spy itself”. I view the UN’s presence in Iran’s Parade as a significant and troubling event. 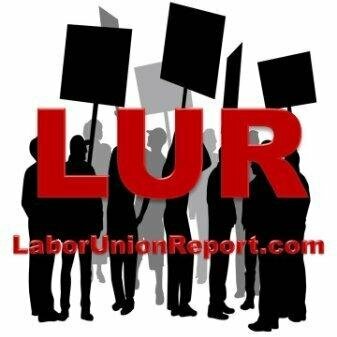 It does not bode well for their claimed ‘neutrality,’ which we all know is a farce any way. I saw this on no major news outlets. Only MEMRI addressed the issue – thank goodness for them. 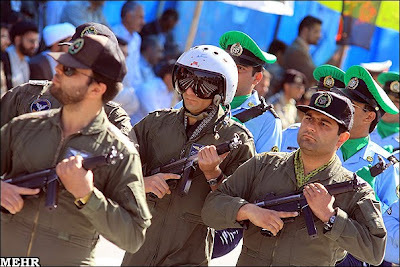 So, while the UN is plotting how to make the entire world submit to a communist-inspired Agenda 21 that enslaves the entire planet, they are also dancing with Iran’s military. Tell me why we have not ditched the UN? It has always been that when you dance with our enemy, you become our enemy. Is it just me, or does anyone else find it inappropriate that the UN has its hand down Iran’s trousers?